For thousands of people around the world, gone are the days when going to work meant dressing up, enduring the horrible rush hour traffic and sitting for 8 hours within the confines of an office cubicle. More companies are switching to remote and distributed teams and more employees are finding themselves working in the comforts of their homes. 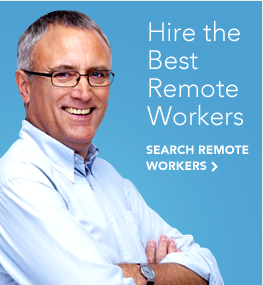 An image of someone working in his pyjamas isn’t far fetch from the reality. 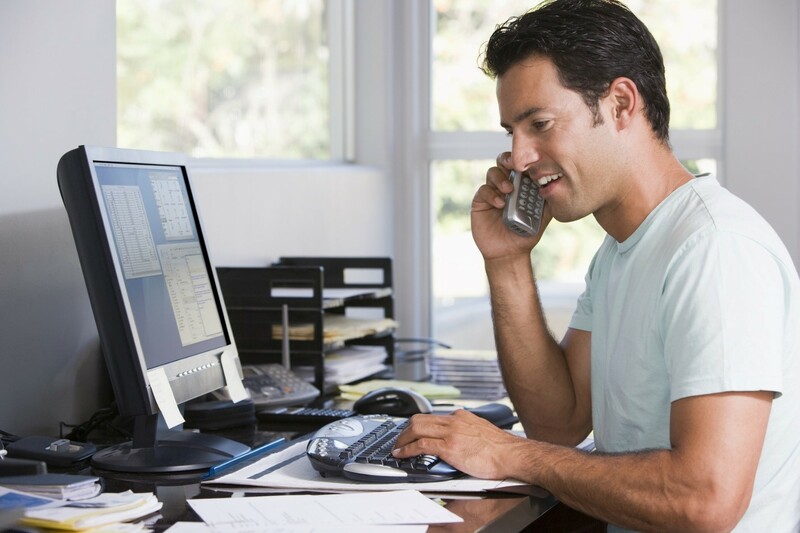 The evidence building the business case for running a remote business is overwhelming. Yet, there are many companies – big and small, start-ups and established ones – that are failing miserably at managing a remote team. On the flipside, remote working success stories are very well documented including well-known companies such as Trello, Buffer, Basecamp and Groove. So, what tips the scale? First, a very quick disclaimer. Hiring a geographically disparate team may not be for everyone. It could work for most, but not for all. There are certain business nuances that would require team members to work face-to-face in a physical office to achieve productivity and business targets. It’s up to you to carefully evaluate your business needs and determine whether hiring a remote team is the best course of action to take. That said, there are several factors that could lead to the failure of running a remote business. Looking at case studies, stories and feedback that we’ve gotten from business owners, we’ve narrowed these down to 10 fatal reasons companies fail at remote working and how you can avoid from making the same deadly mistakes. When it comes to employee performance and productivity, the place of work is just as important as the work itself. This concept may be difficult to grasp at first, but it’s quite common. For example, there was a time when an open concept floorplan was the buzzword among offices, especially among Silicon Valley tech companies. After a couple of years, several employees have complained about how these partition-less workspaces hurt their productivity and just recently, there have been several researches that have been published on how this office setting could harm workplace performance. It’s the same principle when it comes to working remotely. We’ve seen several extremely talented employees failing to deliver the work expected from them in a remote setting and vice versa. How do you then determine if someone is fit for remote work? There are three tell-tale signs. They’ve worked remotely before or they have experience running their own business. You should always ask candidates during their job interview if they’ve worked remotely before. This is the best and most accurate indicator if they’re going to be a productive contributor for your business. To be sure, you can ask for references from their previous work, the exact reason why Outsourcely conducts a verification process for its workers. Another tell is if a candidate has run his own business in the past. Workers with such experience knows how to make the best use of his time with very little supervision. They demonstrate maturity when making decisions. When working for a remote team, employees oversee their own time. They need to have the ability to make the decision on how to best use their precious minutes, not for themselves, but for the welfare of the business and the customers you serve. They should know when to take calculated risks without asking for your permission all the time. Likewise, they should know when it’s time to take a break and recharge. They have very strong communication skills. Responsiveness is very important among remote workers. In a physical office, it’s very easy to walk over to the next cubicle to follow up on something that needs to get done. If you’re running a remote team halfway across the world, it’s not as easy. Someone who’s fit to work remotely should have extremely strong communications skills, able to respond to your messages on time. Put a fresh water fish in the ocean and it will die. Similarly, a natural office-based worker will not thrive in a remote setting. Working while lounging somewhere in the Caribbean. Waves in background. Sand between the toes. A beautiful sunset to behold. This is probably how a lot of people perceive what working remotely is. While this is something that’s 100% doable, there’s a danger in hiring employees who have this mindset from the get-go, especially if they are new to telecommuting. While the point of working remotely is being able to work anywhere, there’s a certain level of discipline to find a place of work where employees could be productive. There are some cases when business owners dangle the idea of being able to work while traveling as a “carrot” for prospective hires. Instead of doing this, you should be encouraging remote workers to establish a place where they are naturally productive, whether it’s a quiet room in their house or a local Starbucks. You should also be helping your employees establish their core work hours when you can reach them and expect things to get done. Have you ever worked somewhere where you felt out of place? Have you ever heard of the philosophical principle called Occam’s Razor? If you haven’t, it simply states that the simplest explanation is usually the correct one. So, if you’ve felt out of place in the workplace before, it’s possibly because you simply didn’t belong. It doesn’t mean that you’re a weirdo, it’s just because you don’t share the same values and goals with the company you’re working for. Company culture is an integral consideration when hiring remote workers. Even the most talented individuals won’t thrive in a company if they don’t fit in. Similarly, it would put a lot of strain on your end to manage remote employees who don’t share your core values, goals and beliefs. How do you know if a candidate is good fit for your company culture? Ask them situation questions during their interview. Ask them to describe situations or scenarios that made them perform at their best in the past. Likewise, ask them what they didn’t like about their previous work experiences. You can also ask candidates to take personality assessments such as the DiSC and Myers-Briggs tests to scientifically measure a remote worker’s personality and working styles. You can match the results with your own and evaluate if their results align with the overall pillars and principles of your business. However, the most accurate way to know whether a remote worker is a good fit for your company is having him go through a 30-day trial period. This way, you can assess whether someone fits with your company culture in an actual work environment. Company culture could be something most business owners neglect when running a remote business, but it’s an important element to your success. According to time tracking software TimeDoctor, the biggest risk among remote employees is not that they don’t work enough. It’s them getting burnt out. It is sometimes extremely easy for business owners to discount and dismiss the possibility of their remote employees getting burnt out. They were probably thinking how could someone who’s working right at the comforts of his own home complain of stress and having too much work. However, burn out among remote workers is very real and it happens more often than most business owners imagine. In fact, there has been research that many remote workers take on more work than they should. It arises from the fear that their bosses might be thinking that they are not doing enough. To prevent burn out and avoid a general sense of unhappiness among your remote employees, implement strict policies on when they should take a break. For instance, there are many businesses that require their employees to consume their one-hour lunch break and two 15-minute breaks during their shifts. You can also impose a required number of mandatory time-offs. If you can afford it, you can subsidize your employees’ gym memberships to encourage them to strive for work-life balance. In Point #3 above, we talked about the mistake of hiring remote workers that don’t fit your company culture. But what if you don’t have any company culture to speak of? Establishing a solid company culture is often overlooked among businesses operating remotely. As business owners outsourcing a significant chunk of operations, the focus is often efficiency. Getting things done. Growing the bottom line. However, have you ever heard of the saying that happy employees result in happy customers? And as you know, happy customers mean more money in the bank for your business. Allow yourself a significant amount of time to define the DNA of your business. This will define your goals, your structure, your systems and processes, and your overall ways of working. Once you have this defined, then you can go on the quest of hiring talented remote workers that would thrive in this culture that you built. Did you know that the Philippines, one of the outsourcing epicentres of the world where many talented remote workers live, get hit by 20 typhoons on average per year? Some of these weather disturbances are minor and barely interrupt day-to-day living in the country. However, there are huge typhoons, such as Typhoon Haiyan in 2013 (the strongest in history) that could paralyze normal operations in the country. Let’s say you have a team of remote workers in the Philippines affected by a major weather disturbance, what’s going to be the process for them to communicate to you their status and if they’re able to work as usual or not? Do they give you advanced notice once the local weather forecasting bureau releases an advisory, days before the storm hits? Do they send someone an SMS so that person could relay the message to you? It goes without saying that communication is a crucial factor in the success or failure of any remote team. With thousands of miles separating you and your team, the success of your operations live and die on how well your remote workers communicate (remember, strong communication skills is a key indication that someone is fit to work remotely). The first question you need to answer is how you want your team to communicate with each other, yourself included. You need to identify the tools that would best empower your team to collaborate. Depending on your culture and work processes, this would vary from team to team. For instance, there are remote teams who prefer to use Slack over Skype when it comes to instant messages and quick follow ups. There are teams who don’t like using email and would rather be pinged using these instant messaging channels. While there are those who would rather centralize all communications using project management tools such as Asana, Trello and Basecamp. However, all these tools will just go to waste if your team does not communicate regularly. When it comes to running a remote team, there’s no such thing as too much communication. In fact, over communication is considered a best practice for remote teams. Why? In traditional physical offices, communication goes beyond the written and spoken words. There’s body language, facial expression, and other nuances that make communication richer and to some extent, more effective. 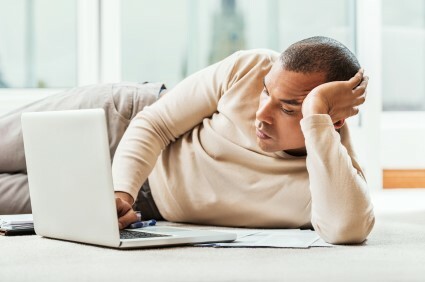 Remote teams need to compensate for the absence of these elements by communicating more frequently and communicating with much greater details. At Groove, one of the ways they encourage communication is by requiring all team members to post about their achievements from the previous work day, their plans for the current day, and the challenges they are encountering each day. It is also advisable that you meet with your team face-to-face using video conferencing tools on a regular basis (weekly or bi-weekly is encouraged) like Appear.in or Skype. Also, don’t limit communication to work-related topics. Allow your employees to share bits and parcels of their personal lives to make them feel comfortable in sharing their thoughts and ideas to the team. Teamwork is difficult enough to foster in a team working physically together in a shared space. How much more among remote workers living in different locations across the globe? It is not uncommon for remote companies to have several islands of individuals working in their own little bubbles rather than a cohesive team working like a well-oiled machine. Building teamwork among your remote workers means detaching yourself a little bit and allowing your employees to orchestrate meetings and coordinate projects among themselves. When you conduct your regular meetings, give everyone a few minutes to update the team on the progress of tasks assigned to them. Highlight the dependencies of these tasks – one cannot move or stand without the other components in place. Review targets and goals as a single unit and offer teamwide rewards when these targets are met. Keep in mind the cheesy cliché: Teamwork makes the dream work. It has been proven time and again that we perform at our best if we are working with people that we like. Knowing each other personally beyond the four corners of the virtual workplace makes it easier for remote workers to relate to each other and makes the entire work experience more enjoyable and productive. In a traditional office setting, it’s easy to bump into co-workers in the hallway or organize a quick lunch during payday or an after-office coffee after a long day. In remote teams, you need to re-create these scenarios virtually. Take a cue from social media automation software company Buffer. They have successfully created virtual water coolers using different communication channels that allow their employees to build meaningful relationship with each other. For instance, they encourage sharing funny GIFs and Emojis, as well as share funny videos and music that they like. 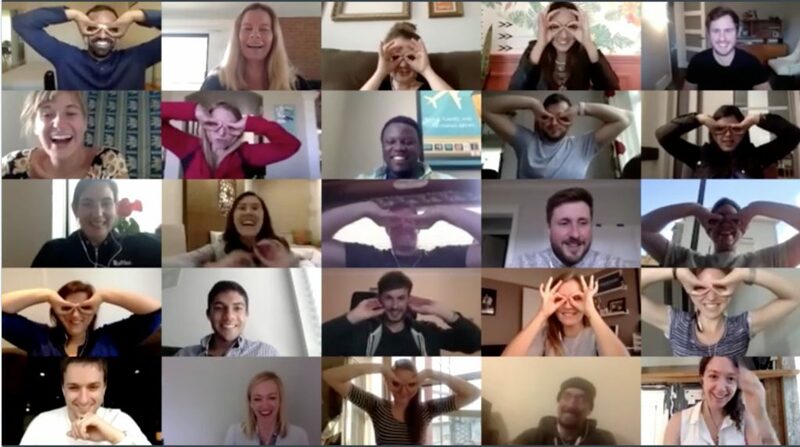 They use Skype for their face-to-face meetings and they have themes for them – Sunglasses Day, Bring Your Pet to Work Day and so on and so forth. At the end of the day, the work is already serious enough so allowing your remote workers to have fun with each other is a great way to foster camaraderie, increase overall company morale, and boost productivity. If you’re just starting out and have very few remote workers on your team, you probably don’t need to hire a manager that will supervise the day-to-day operations of your business. However, as you grow, you need to hire managers that would run the nitty-gritty details of your business. Many businesses have crashed and burn in the past because they didn’t have good managers on their team as they were expanding their operations. Granted that good remote workers would be self-policing and would manage their own tasks, priorities and time, you still need to put managers in place to streamline work processes and project timelines are being meet. On the flipside, there are business owners who micromanaged their remote team or hired micromanagers to supervise their employees. In their heads, they thought that they were just making sure that things are getting done and getting done right, not realizing that they are putting a lot of stress on their employees. Sure, it’s okay to follow up with a writer how a blog post, a press release or an article is coming along, but don’t tell him how to do his job. Note that one of the reasons a lot of remote workers chose telecommuting is having longer reigns and having more control over their job. Micromanaging your team is not only counterproductive; it creates a hostile work environment. If the reason why you’re micromanaging is because you don’t trust your employees, then you might have the wrong people on your team or you’re not fit to be a manager at all. There’s no such thing as a perfect remote employer. You will commit mistakes especially on your first few months. Even veteran employers still commit these mistakes. The goal of getting this information to you is not to make you a perfectionist. It’s about empowering you to reflect on your own processes and systems, and evaluate the way you’re managing your remote team if productivity is going down or if performance is not up to par. At Outsourcely, we have seen business owners commit a ton of mistakes when it comes to hiring remotely. We took note of these and developed our platform around the lessons we learned from these mistakes. For instance, remember how we said that not all great employees would make great remote workers? To make sure that we have the best remote workers in our pool, we have a verification process that considers the workers’ employment history. 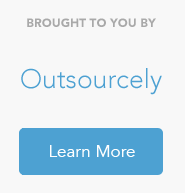 Discover how Outsourcely works and how we can help you avoid committing hiring mistakes.